Brutal rivalries, fast-paced action dominates black-and-yellow brand. 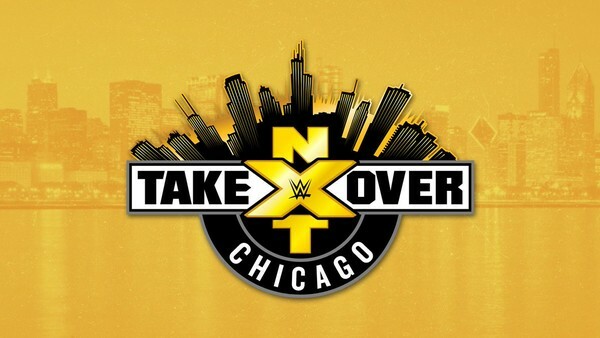 Rarely does NXT fail to deliver when it brings us a TakeOver, and Saturday’s edition from Chicago was another stellar outing for the black and yellow brand. NXT gave us five matches that entertained to varying degrees, with the contests ranging from pedestrian to tremendous. Nothing was bad, and only one match really qualified as a true disappointment. Another was OK, while three were action-packed bouts that easily carried TakeOver: Chicago to a solid thumbs-up. At the top of the list has to be Johnny Gargano versus Tommaso Ciampa, a rivalry that has become so heated that you can feel the hatred coming through the television. You have to remind yourself that they were once NXT Tag Team Champions and best friends. At the other end of the spectrum in terms of rivalries has to be Ricochet and Velveteen Dream, who engaged in a battle of one-upmanship that wasn’t quite a respect feud, but certainly wasn’t a blood feud like Gargano/Ciampa. It’s also worth noting who showed up on the PPV but weren’t in matches: EC3, Adam Cole and Kairi Sane. Throw in acts like War Raiders and Pete Dunne, and that shows how deep the NXT roster is right now, when they can book a 2.5-hour event and have several top stars sitting on the sideline. With that said, let’s find out how the developmental brand fared on Saturday.